International investment bank and notorious Bitcoin skeptic JPMorgan Chase will be the first US bank to issue its own cryptocurrency. In a surprising move, Umar Farooq, head of JPMorgan’s blockchain operations, told CNBC trials of JPM Coin would start in the coming months and that three use cases had already emerged. “The applications are frankly quite endless; anything where you have a distributed ledger which involves corporations or institutions can use this,” he said in an interview February 14. JPMorgan will likely shock the finance sector with the move, after adopting a broadly hostile view of cryptocurrency in recent years. 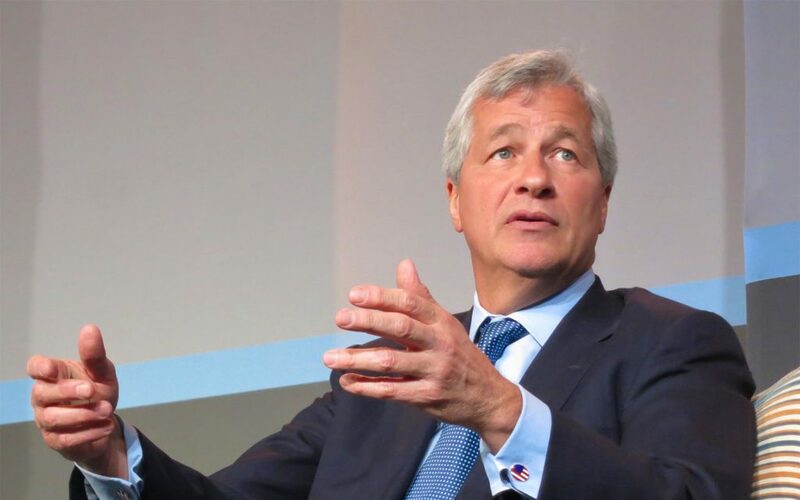 As Bitcoinist reported, CEO Jamie Dimon became infamous after calling Bitcoin a “fraud” in 2017 – managing to move the entire Bitcoin price in the process. Dimon since appeared to U-turn on the remarks, later vowing not to mention Bitcoin in public again. In the meantime, other executives have appeared to warm to the cryptocurrency industry, rumors circulating last year JPMorgan would even launch Bitcoin-related instruments. In May, the bank filed a patent for a P2P interbank blockchain payment system, with settlements between large corporate clients now set to form a major focus for JPM Coin. “Money sloshes back and forth all over the world in a large enterprise,” Farooq continued. JPM Coin will also see implementation in securities transactions and as part of JPMorgan’s treasury services features. Only a “tiny” amount of the total flows involved in these areas will use the cryptocurrency to begin with, JPM coins acting as a 1:1 dollar substitute similar to a stablecoin. “Even if this was limited to JPM clients at the institutional level, it shouldn’t hold us back,” Farooq concluded. Last year also saw the bank’s co-president Daniel Pinto go on record to admit cryptocurrency “will play a role” in the future global economy. “I think the concept is valid, you have many central banks looking into,” he said speaking to CNBC in May. What do you think about JPM Coin? Let us know in the comments below!